Orange is an excellent variety with good flavor, size, and yield. 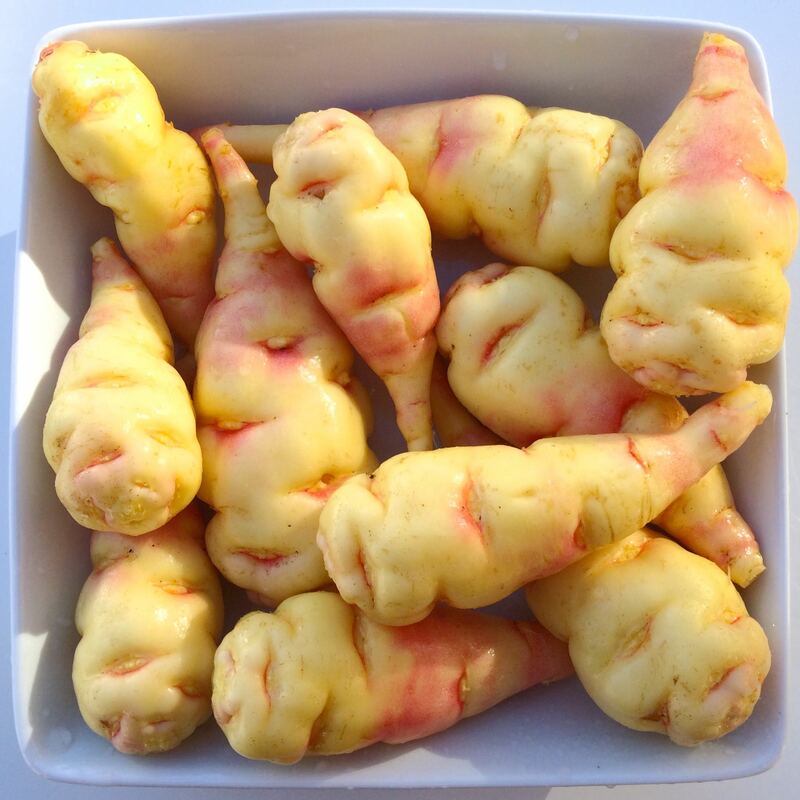 There are two claims on the origin of this variety, one that it comes from Ecuador and the other that it comes from Chile. Ecuador seems more likely since mashua’s range barely extends to Chile, but a Chilean origin would be much more interesting from the standpoint of a breeder. It might contain genetics more favorable to earlier tuberization coming from a region with longer day length. It may eventually be possible to sort this out with data from collections in South America, but it remains a mystery for now. This variety is also sold under the name ‘Chilean Red’. Orange is mild and well-balanced, neither sweet nor cabbagey, but with a kind of richness that I can’t quite describe. The cooked texture is soft. Most of the color is lost in cooking, although the flesh retains some yellow color. Orange plants are large, reaching nine feet on trellis. 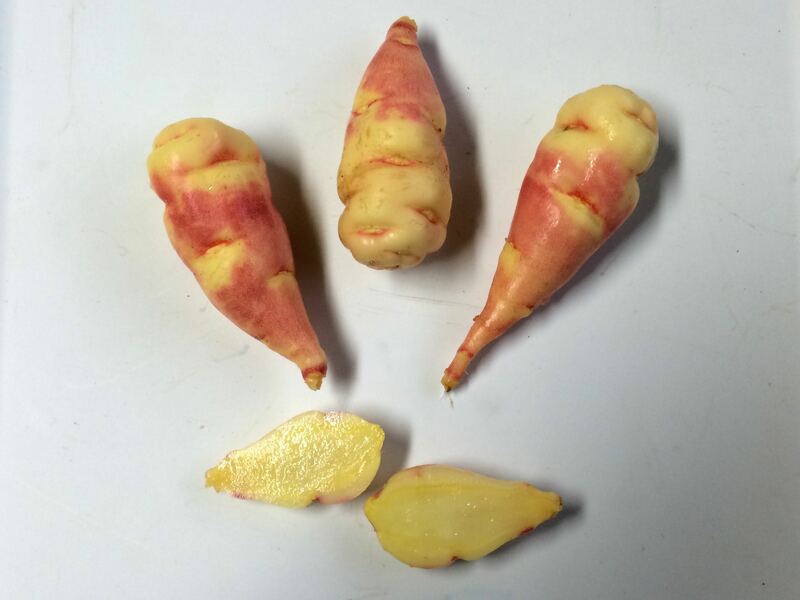 The tubers have good dormancy. Yields are very good, reaching ten pounds or more from trellised plants. 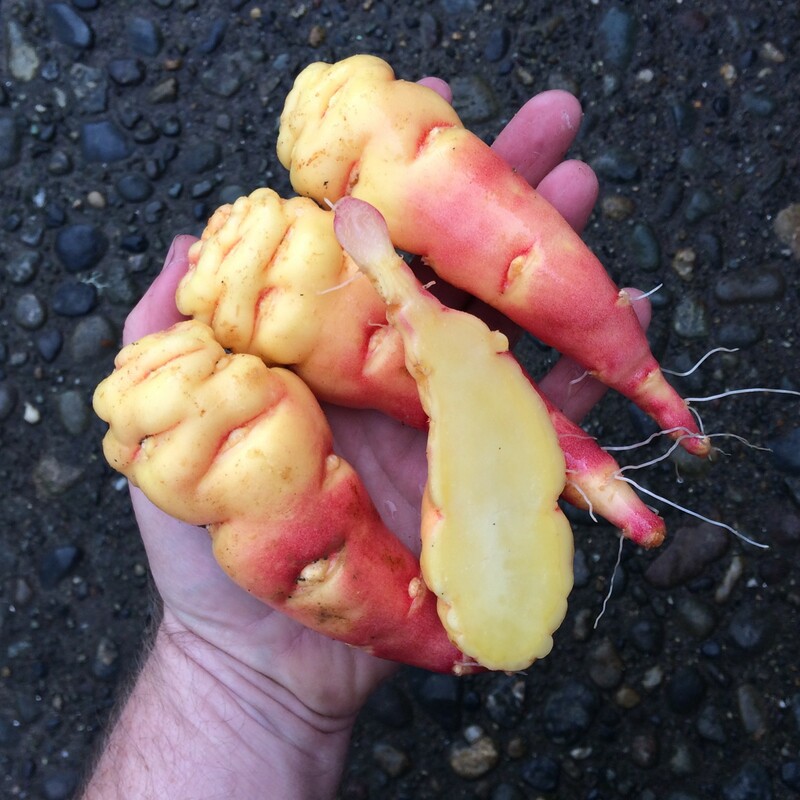 Tubers are large, in the three to six in range on average, but easily reaching a foot long. 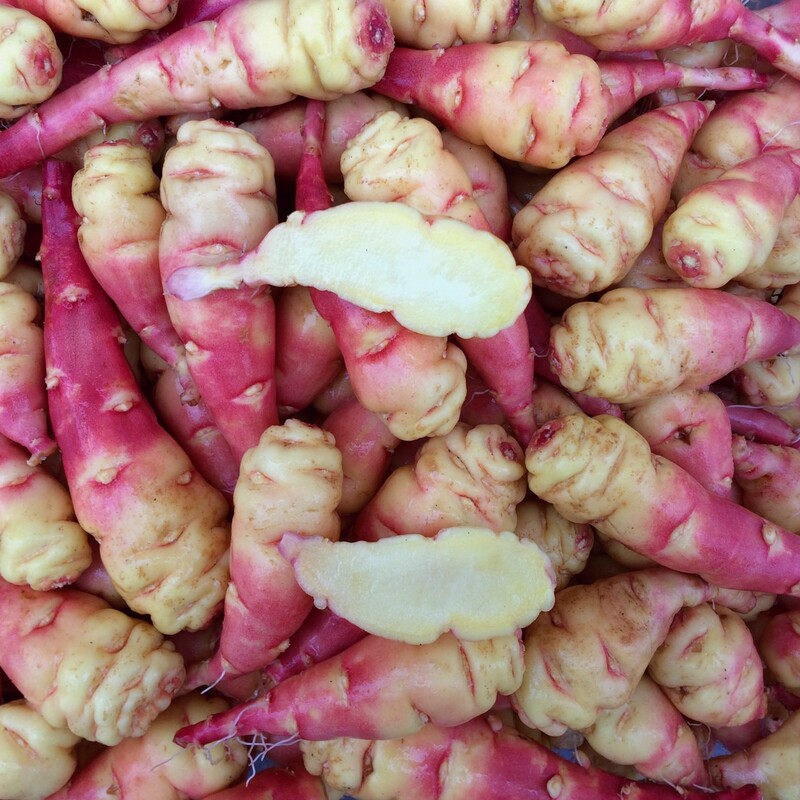 The tubers resist cracking in wet soil. This is a fall flowering variety and one of the last to flower most years, well into November.